The pillar of the broadband internet we use is BSNL DNS. As usual, we all know about Google Domain Name Servers or BSNL DNS default or any other private Domain Name servers to find profitable about internet on many occasions. But we actually didn’t go about the depth of the issue. No, it’s the time to know everything about BSNL DNS and other related issues to find the solutions for many issues related to BSNL Domain Name Server and to enhance your security before digital threatening. DNS stands for Domain Name System and it is the naming system to use the public internet or private network resources. This service completely translates created domain names into numerical IP addresses to locate the computer services under network protocols as DNS protocol. Since 1985, Domain Name System is the only responsibility of assigning domain names and mapping the names to servers with numerical data. In general, any internet site is linked to IP, say it is like 74.125.224.72, what you can understand, this is the IP, which you might be attempting for more than 10 times a day. Still, a bit confused, just have a look www.google.com is the site name for this IP (http://74.125.224.72). To remember IP is a bit difficult, that the reason you require a service to tell website address to IP. This service is known as DNS. 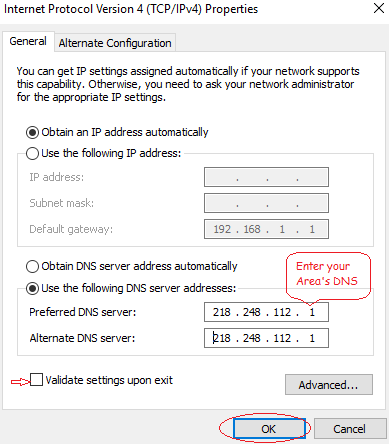 How can I check my BSNL DNS server? For a common BSNL user like us where we can find this DNS Server? Any setting you have to do at your ADSL modem (CPE Customer Premises Equipment) level or at your system only. so we can find this in our connected DSL modem. Just follow the steps given in BSNL DNS changing procedure below to find the existing BSNL DNS Server details and change if required. If your web address has not resolved any errors which you getting in browsing you will get an HTTP error code “404” if your BSNL DNS server is not working properly, your BSNL Internet speed will be slow and also your system sometimes may hang also. What from your side as a BSNL user you can do now? Just assume, if an Internet user with high speed best BSNL unlimited broadband plan for home or business is working on your Windows 10 or any Operating Machine / System, then has to follow the procedure to change the DNS Name Servers address to enhance the browsing speed with high security. What is the DNS server of BSNL broadband? A recent message from ICANN is going around regarding DNS which may have an impact on browsing. But BSNL is not affected. However, customers using OPEN DNS and non BSNL DNS might cause experience some disturbances in the future. The international organization ICANN (Internet Corporation of Assigned Names and Numbers) is responsible for maintenance of procedures for several Databases related to namespaces and numerical spaces of the Internet. The ICANN will carry out maintenance work during this time period by changing the cryptographic key that helps protect the internet’s address book or the Domain Name System (ONS). Due to the KSK rollover, DNS resolution will not happen for those customers who are using OPEN DNS and other CLOUD based DNS. According to them, Internet users across the globe may experience widespread network failures as the key domain servers are slated to undergo routine maintenance. Broadband networks have implemented BSNL DNS solution recently with all latest features which is not affecting the browsing. It is observed that many customers have been configuring OPEN DNS other than those configured by BSNL, in their Laptops or PCs. So all the customers of BSNL broadband services (multiplay network) can overcome this situation by activating the following BSNL DNS settings and ensure that it is set to 192.168.1.1 or that in the table below, if not already done. Go to Control Panel, then select small icons for display. Change Adapter Settings for your connection, Then you will have a popup screen with connected Ethernet Port. Properties (If your system shows Automatic and you are unable to resolve an IP). 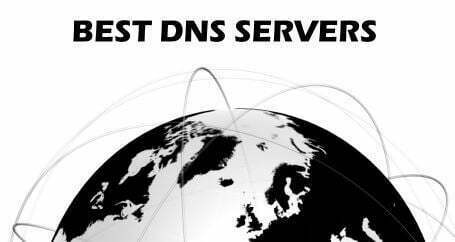 Enter Preferred BSNL DNS Server and Alternate DNS Server. In some situations, when the alloted BSNL DNS IP address not working or having any errors, now having well known left out option is giving Google DNS server details. Submit Preferred DNS server address as 8.8.8.8, Alternate DNS server as 8.8.4.4. Don’t worry about BSNL DNS server not responding or how can I increase my BSNL broadband Internet speed without any plan change? First you just clear all the loaded cookies and follow the above BSNL DNS configuration steps. If you have doubt about DNS details which may affect your broadband speed, check your connections details to fix BSNL DNS Server Problems to get high speed internet over DSL broadband connection. All India broadband customers can try this above BSNL DNS Server IP Addresses to increase the internet speed and security and to solve the existing slow speed problems on high speed BSNL broadband connection. You may try with North Zone BSNL DNS address related to Chandigarh or Noida for security and to get rid of slow speed internet problems.